With such a vast array of software available in the market, finding the right software package to meet your needs can be challenging to say the least. To make life easier, we've sourced an extensive range of leading software packages to help you better manage and grow your small business. MasterPlan - Save 50-90% of the time in creating Business & Marketing Plans! KPI Scorecard V3 - Instantly create a One Page Snapshot of your business using KPI Scorecard! 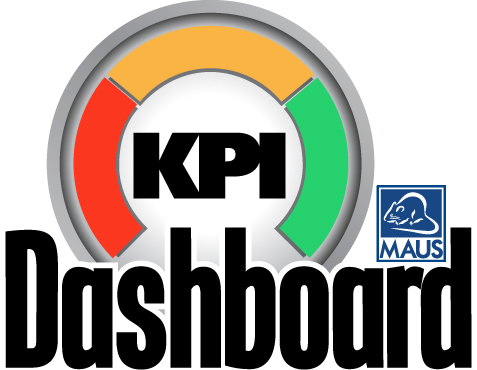 MAUS KPI Scorecard is the fastest easiest way to prepare and grow your business. Instantly create a “one page” snapshot of your business. This program will turn your strategy into a monthly action plan. Strategic Planning Pack - Increase your Management Skills while developing a plan for your business! Quality Assurance - Instantly create a Quality Assurance Manual! MAUS Quality Assurance is designed to help organisations develop their own customised Quality Manual, which can either be used for ISO9001:2008 certification and accreditation or just to help document and improve an organisation's current quality systems. The time and cost required to complete your finished Quality Assurance manual will be reduced dramatically with this software. Policies & Procedures Manual - Create your own customised Policies & Procedures Manual in minutes! MAUS Policies Manual is designed to help companies develop a complete operations handbook incorporating procedures, workflow documents and business forms into one comprehensive reference manual. This innovative software will allow you to create a handbook that is specific to your business, not just a collection of standardised policies and procedures. An operational handbook translates a company's business direction into clear goals and easy to follow guidelines. Operations Manual - Create your own Operations Manual! MAUS Operations Manual is designed to help companies develop a complete operations handbook incorporating procedures, workflow documents and business forms into one comprehensive reference manual. This innovative software will allow you to create a handbook that is specific to your business, not just a collection of standardised operations, policies and procedures. An operational handbook translates a company's business direction into clear goals and easy to follow guidelines. Job Descriptions - Create your own customised Job Descriptions in minutes! MAUS Job Descriptions is the easiest, quickest and most effective method of creating job descriptions for your employees. Having comprehensive and up-to-date job descriptions for each of your employees provides your organisation with many benefits. Job descriptions provide employees with an accurate understanding into what their job entails, their responsibilities and other important specifications which assists in maintaining focus. Performance Review - Create Staff & Employee Reviews! MAUS Performance Review helps you create performance appraisals ready for your employees in minutes! Writing performance reviews is now easier than ever before. MAUS Performance Review will generate fully formatted employee reviews in half the time. MAUS Performance Review includes Intelli-text, an exclusive technology which writes clear and natural text that flows as if you wrote it yourself allowing you to save valuable time and effort. Health & Safety Planner - Easily create a Health & Safety Plan! MAUS Health & Safety Planner (OHS / WHS) will help you develop your policies and procedures through a simple question and answer approach. Comprehensive and easy to understand, MAUS Health & Safety Planner will guide you step by step on how to create an OH & S committee, action plans, outline of emergency procedures and monitor ongoing safety performance. You could further save 50-90% of the time in developing your own safety training program. HR Policies Manual - Within mintues create a customised Employee Manual! MAUS HR Policies Manual is designed to help companies develop their own employee manual which incorporates all their policies, procedures and forms. This simple to use software will turn an arduous, time consuming activity in to an eye opening experience. The result - your company's own employee manual, specifically customised to suit your requirements. Flowchart Manager - Instantly create a customised Flowcharts & Workmaps! MAUS HR Profiler gives you the power to ensure that you recruit the best people for your business whilst giving you the ideal coaching and development tool for your existing employees. Monitor a candidates suitability for the job, their people management abilities, as well as their individual needs and motives. With MAUS HR Profiler, you will save countless hours in recruiting new staff and training your existing staff to a higher level of performance. Information Memorandum - Instantly create your own customised Information Memorandum! Business Value Report - Create a Business Value or Business Worth Report! Consultant's Navigator - Become a successful Business Consultant Overnight! Profit Builder - Easily create a 72 page Client Profit Improvement Report! Consultants Pack - Become a successful Business Consultant Overnight! Become a successful Business Consultant Overnight. MAUS Consultant's Pack, advocated by 1000's of Accountants & Consultants, will give you the forms, tools and know-how to establish a professional Business Consultancy overnight! An ideal resource for professionals looking to value-add to their current services using a systematic and structured approach to Business Consulting. 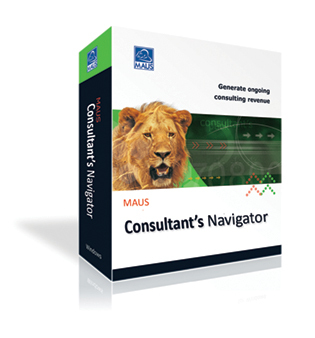 With the MAUS Consultant's Pack you can modify the planning structure, what topics are covered in the software, the questions, the question order and the financial spreadsheets. Become a Coach - Instantly win new Clients & Build your own Practice! This is a detailed training course that takes you through the establishment and development of a business coaching or business consultancy business. The product will help you to win more clients, introduce great marketing strategies and build a profitable practice. Buy a proven system of winning clients and have the system explained to you by your own video coach. Includes a "step by step" blueprint to starting and building your coaching or consulting business. Stockmarket Plus - Create your own Share Market Portfolio! MAUS Stockmarket Plus is an easy to use Share Portfolio Management software which is owned and developed in Australia. Stockmarket Plus handles a range of investments including shares, options, warrants, managed funds CFD's and more. MAUS Stockmarket Plus enables investors to keep track of their investments and provides important data to make informed and profitable investment decisions.